The Enhanced I2C Interface card (EI2C) lets you connect any I2C integrated circuit to your robot or other automation. 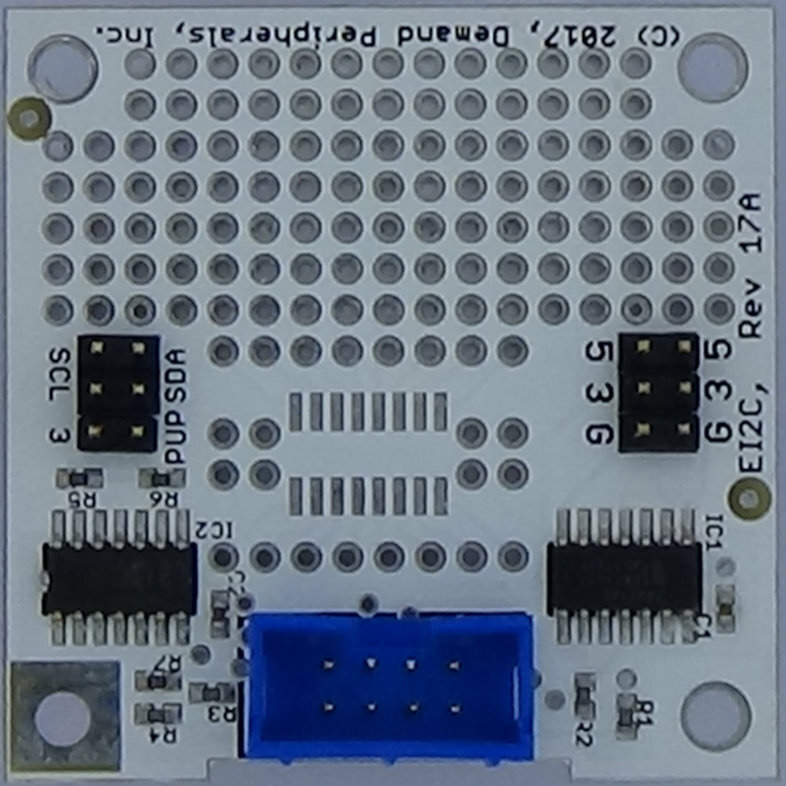 The card has a prototyping area as well as pads for both TSSOP and SSOP surface mount chips. The EI2C card must be paired with the "ei2c" peripheral and driver. The schematic and layout of the EI2C are shown below. 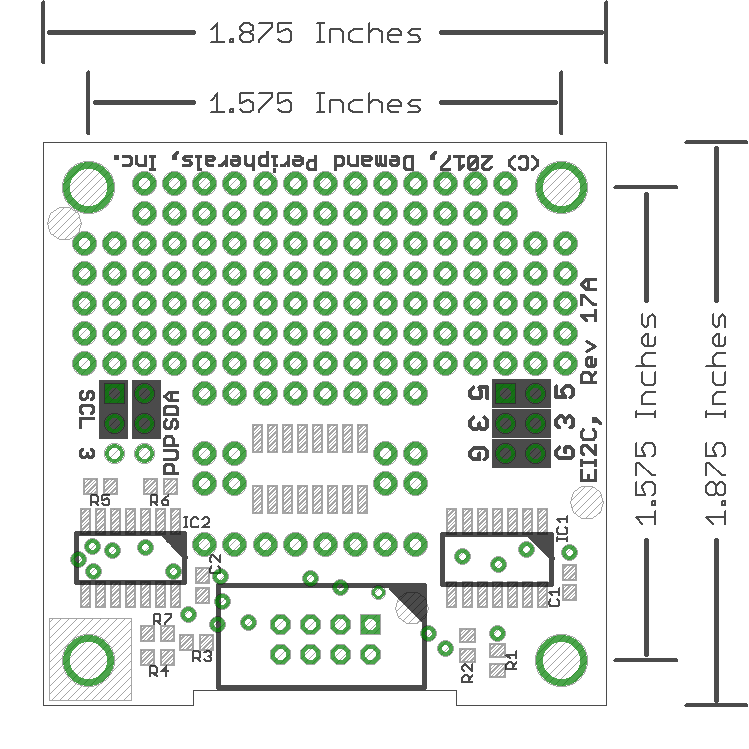 The Eagle schematic and board files are available here: ei2c.sch and ei2c.brd. The bill-of-materials is available here: ei2c.txt.